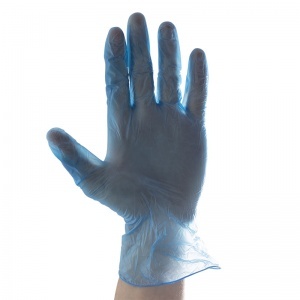 The Aurelia Delight Blue PD Vinyl Gloves are constructed using lightly powdered vinyl to form a soft and thin glove with increased tactile sensitivity. 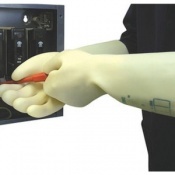 The ambidextrous gloves have a beaded cuff to prevent liquid from entering the glove and have been approved as being food safe. 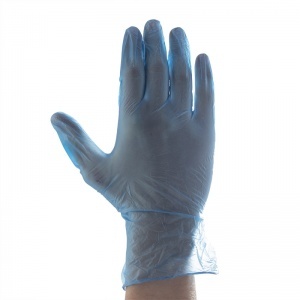 The gloves are both glueless and free of thiurams to improve hygiene and safety and have a non-sterile design. 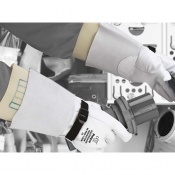 The product code for these gloves is: 38895-9. 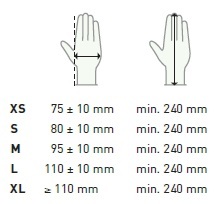 I looked around for a while before buying these gloves. I make my own sausages so I wanted them to fit well and last out the job. They certainly have done that. I have used them for DIY jobs as well. I bought three boxes and would definitley buy them again. Oh yes great for chopping chilies. Excellent product, great value for money and fantastic service.